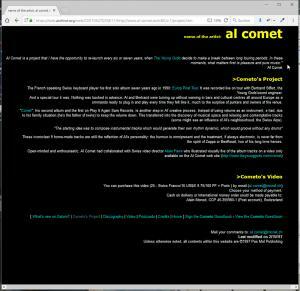 Search the history of more than 300 billion web pages on the Internet, – status July 2017. 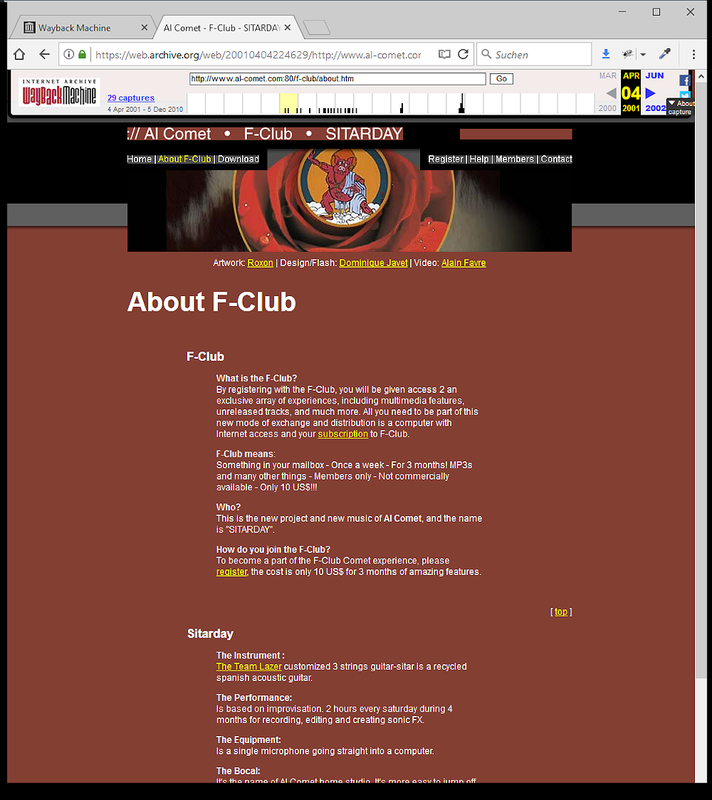 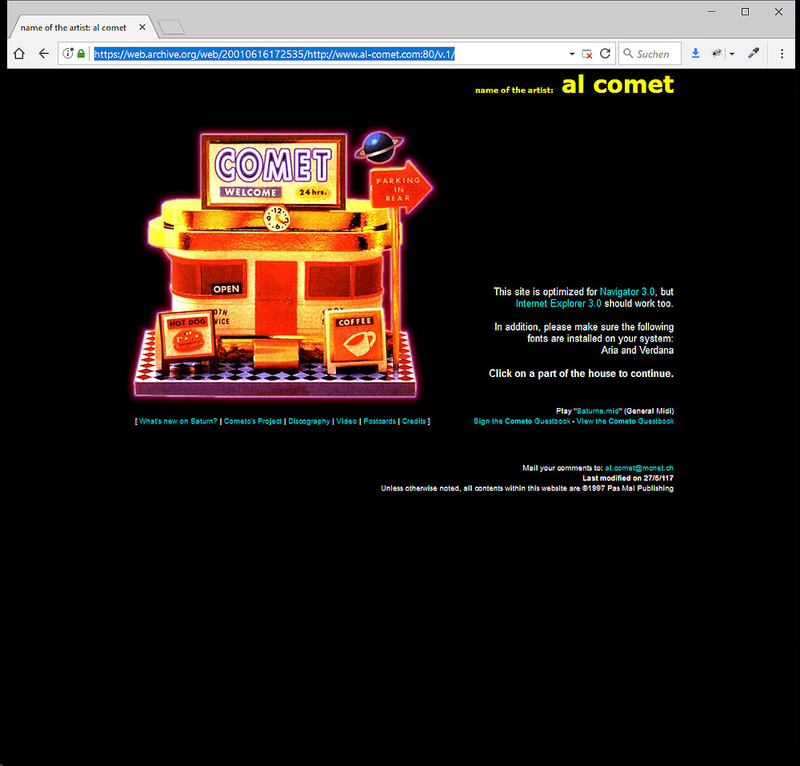 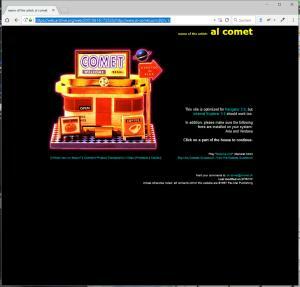 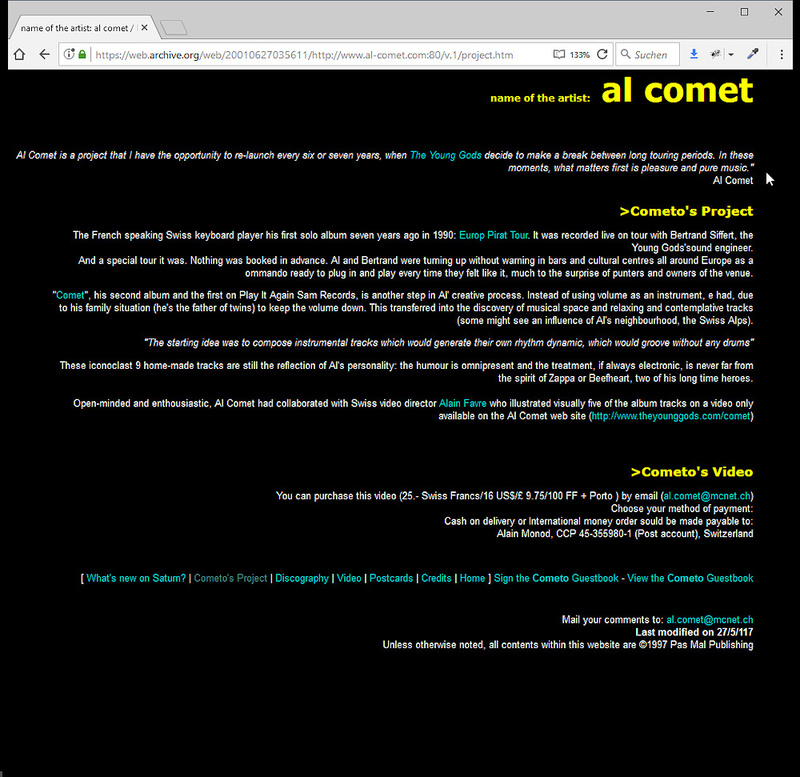 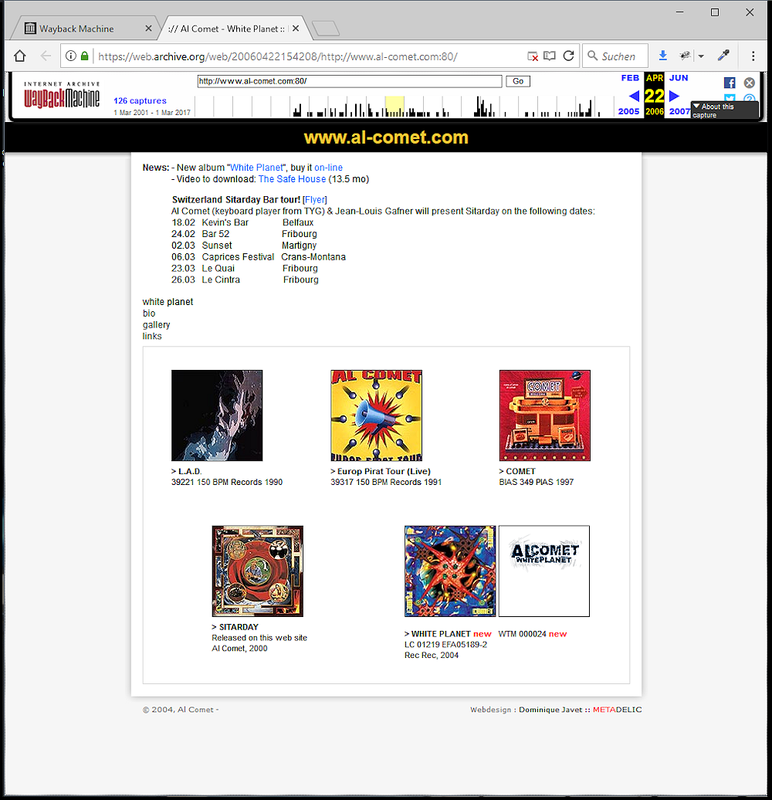 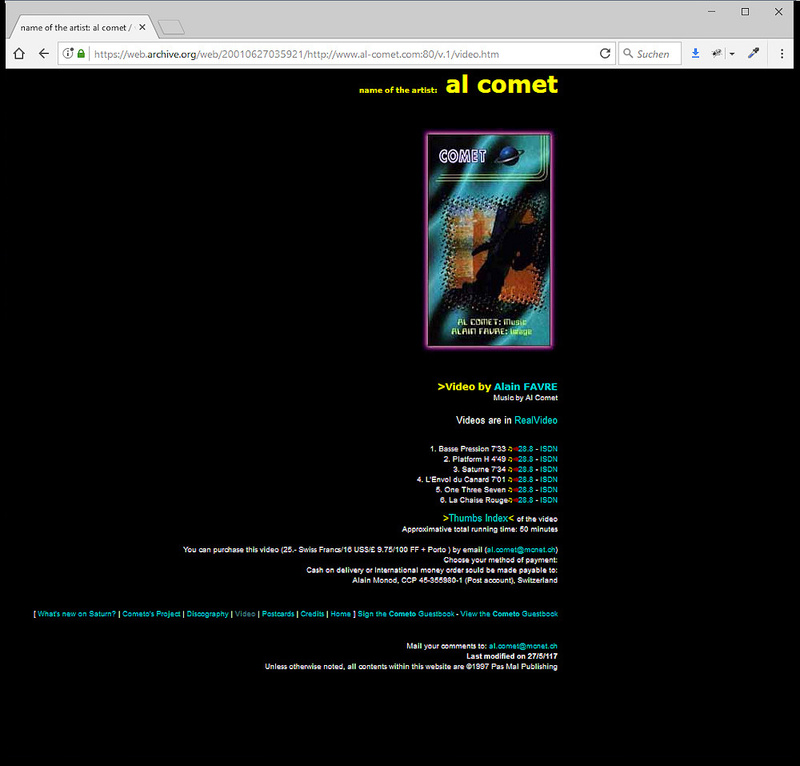 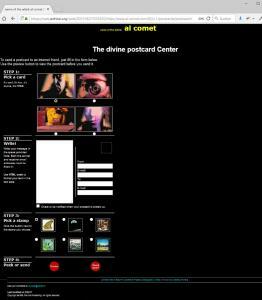 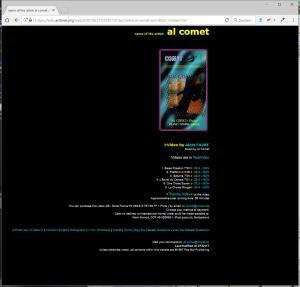 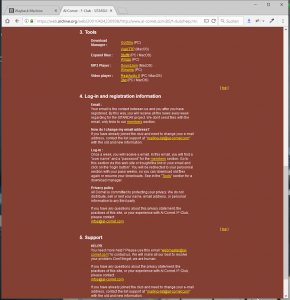 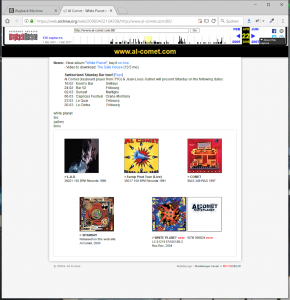 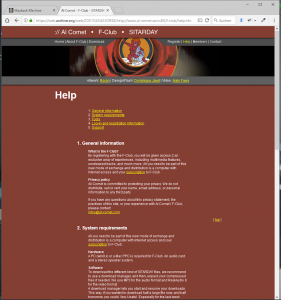 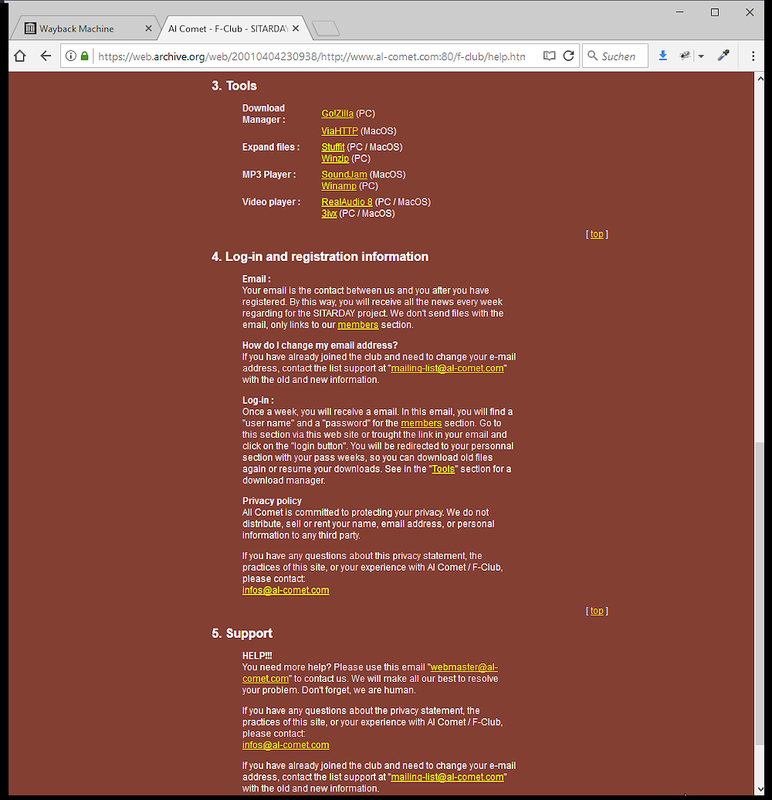 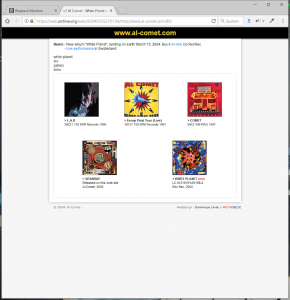 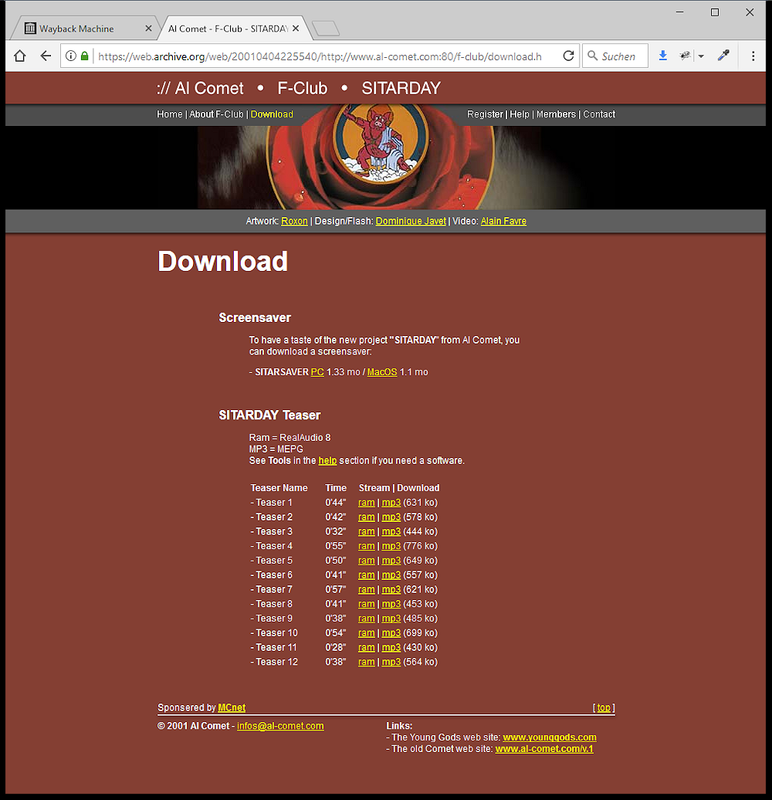 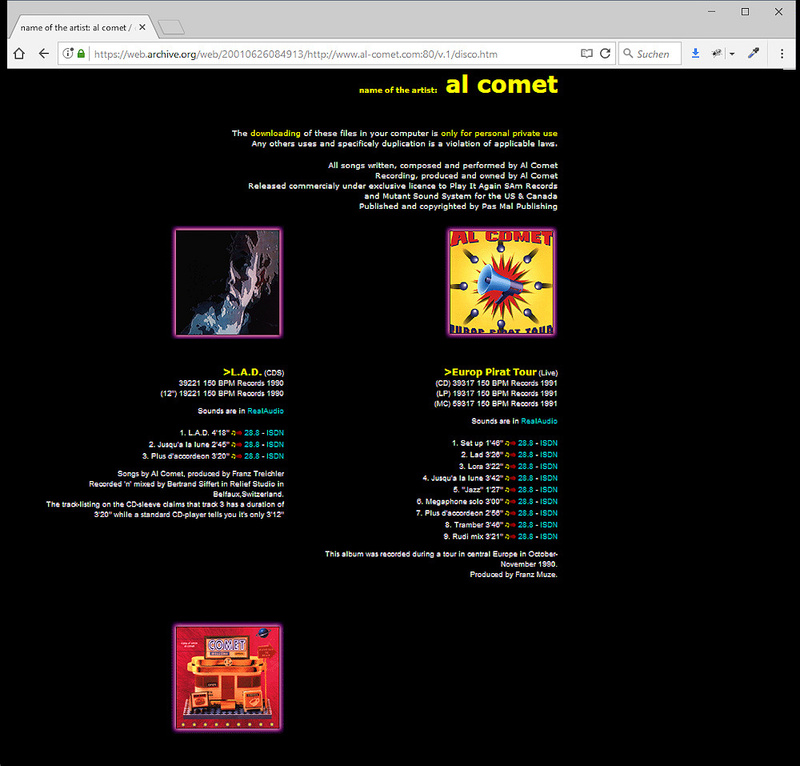 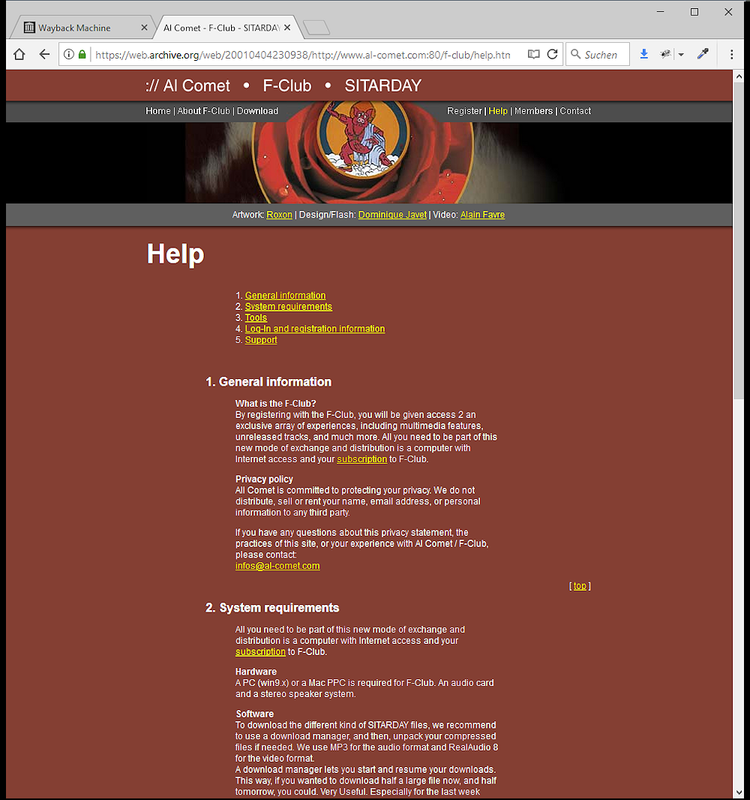 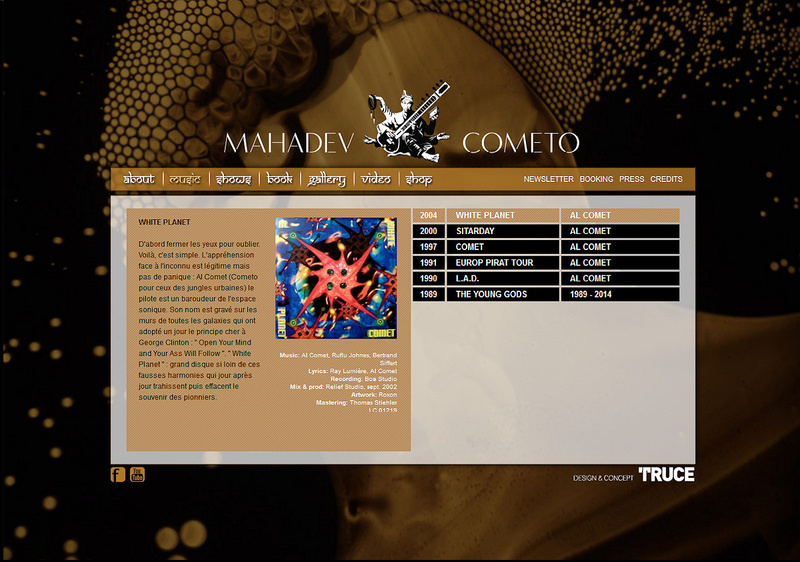 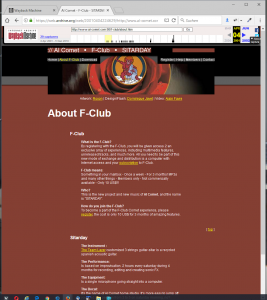 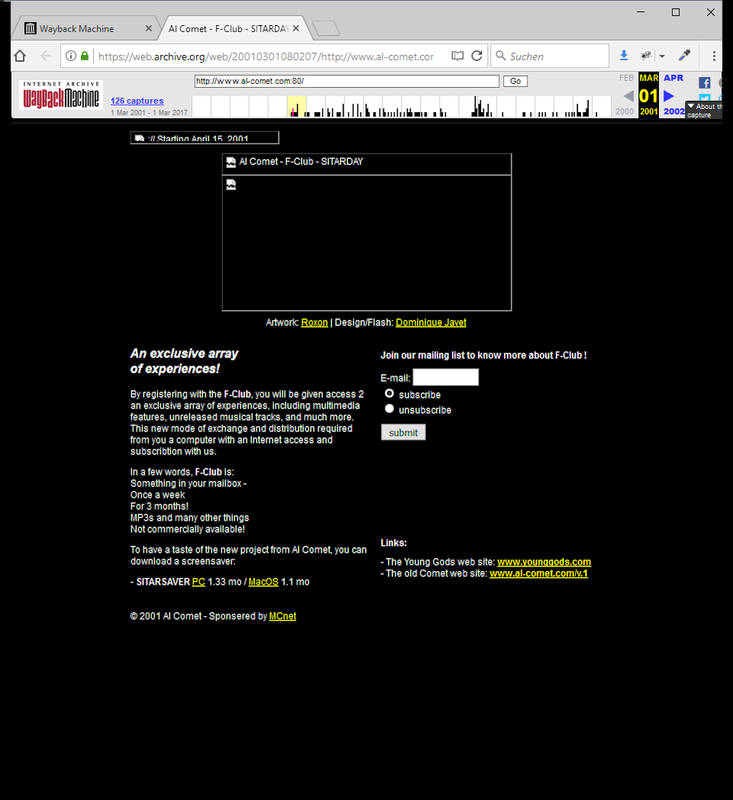 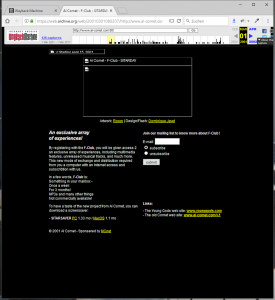 Screenshots of the very first websites of Al Comet stored on archive.org, from March 1st, 2001 untill April 2017. 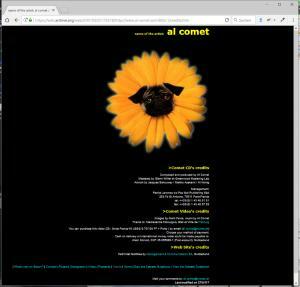 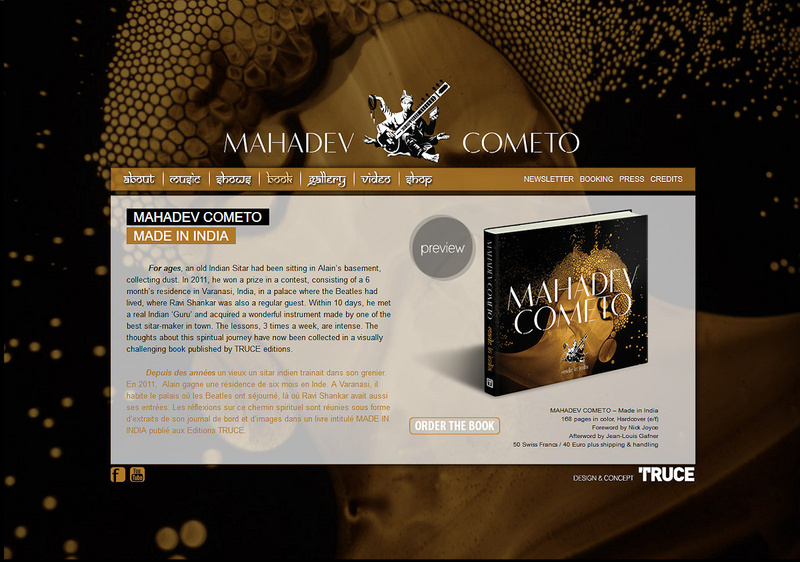 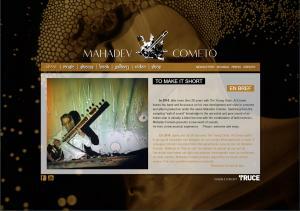 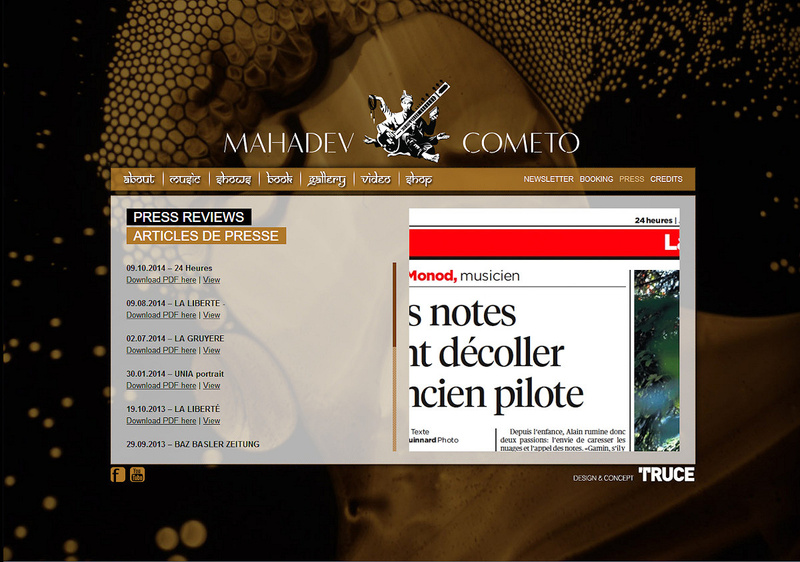 Watch here some of the original videos by Alain Favre from the album «Comet». 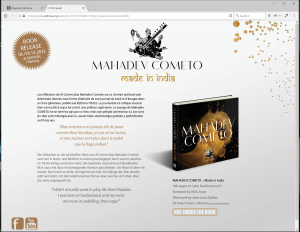 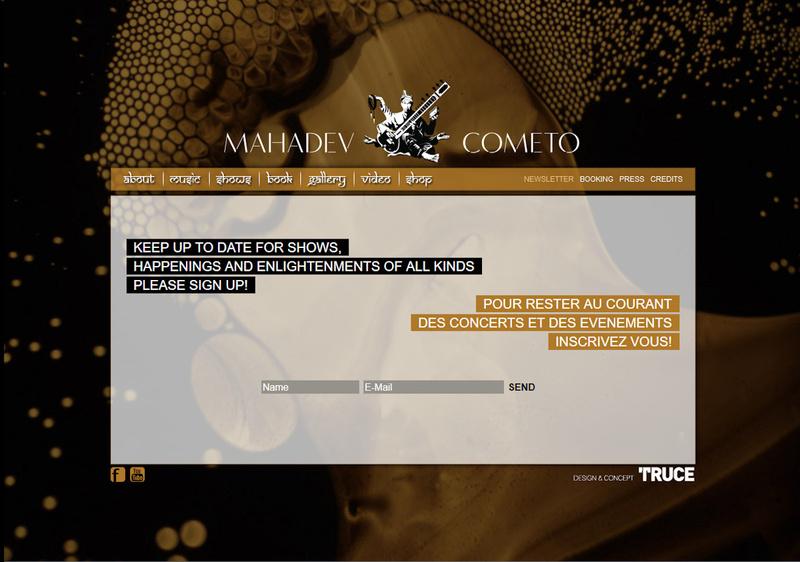 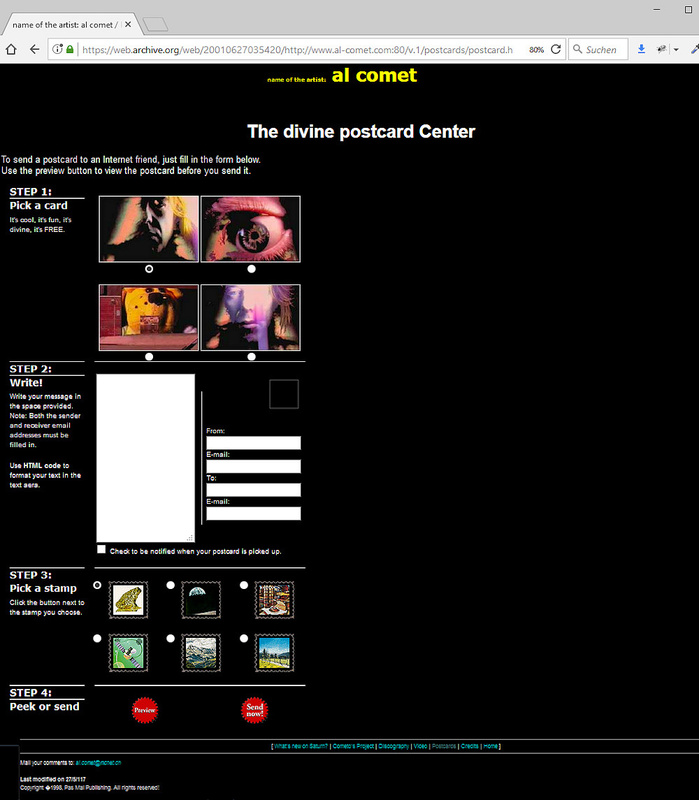 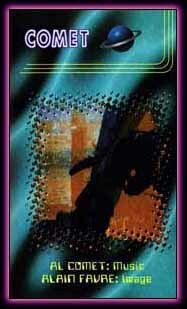 Find the «Devine Postcard Center» in the gallery above : image “postcard”. 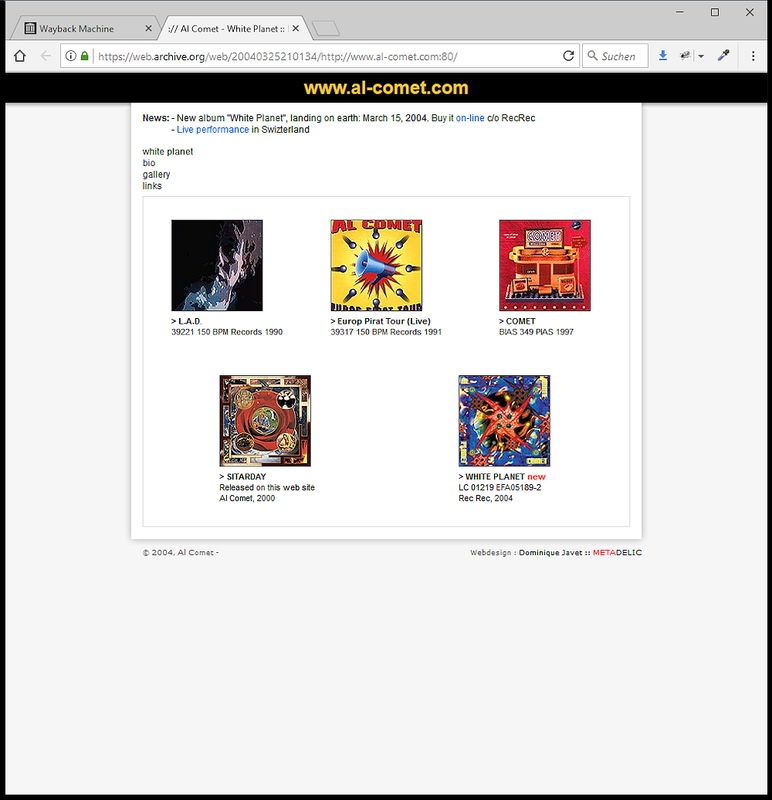 Find the «aiPhone» in the gallery above : image “video”.